The soft x-ray diffractometer is designed and constructed for the TACoDE beamline [Ref. 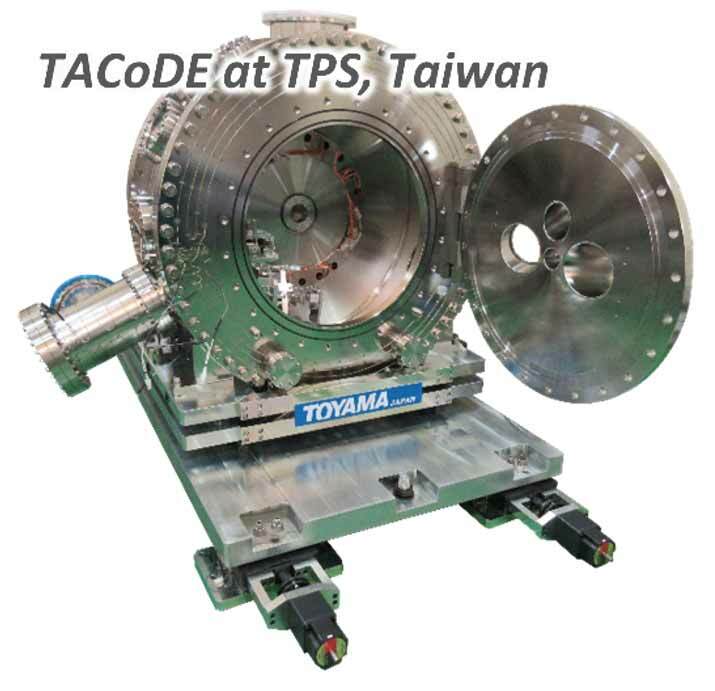 1] at the Taiwan Photon Source (TPS). This diffractometer is equipped with a full polarization analyzer and low temperature capabilities. The design of TACoDE is an upgraded version of RASOR [Ref. 2], it preserves all the positive aspects of the RASOR diffractometer while avoiding negative aspects such as in-vacuum cable management. Direct provision for water cooling for 2D detector.